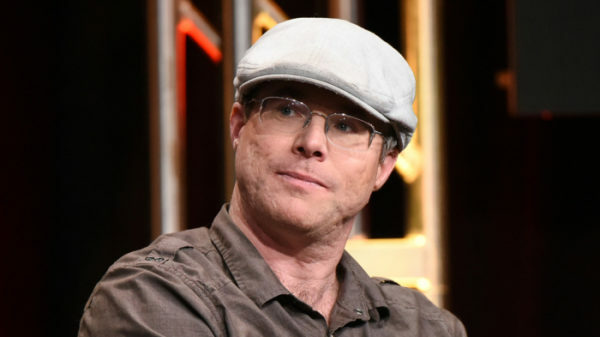 Andy Weir speaks about his writing (Courtesy of Variety). You were on your way to class when you first saw this article. This article is short, as a longer one could not do Andy Weir’s masterpiece “The Egg” justice. After all, in just two pages, Weir delivers a striking philosophical commentary on the nature of humanity and how it approaches interpersonal relationships. “The Egg” draws on the longstanding human, and literary, question of “What happens after death?” painting an optimistic portrayal for the ultimate fate of the human population. The unnamed male protagonist, on his way home to his wife and children, dies suddenly in an accident and faces a conversation with “the almighty.” However, this “vague authority figure,” unperturbed, explains that the protagonist has lived many lives before, and he will be reincarnated into all the lives on earth from the past, present and future — eventually even those of his wife and children — until he matures enough to enter the real world. What seems most subtly brilliant about this work is its ability to provide scaffolding for such an interesting take on a deep question. In his limited amount of space, Weir points towards the retention of a self-identity even across different lifespans as well as a commentary on the perhaps arbitrary rules of reality. He multitasks, all while inspiring readers to consider the admittedly solipsistic view that perhaps their every selfless action technically benefited a version of themselves. On the other hand, I found startling beauty in its informal, easily approachable prose, which draws me in as it leaves the imaginative aspects of storytelling mostly to the audience. Weir rarely uses any word besides “said” to describe the conversation of the two main figures, choosing instead to focus on his fascinating ideas. Similarly, the use of perspective also breaks from tradition, in that the first person perspective is given to the godlike figure, and the second person “you” for his discussion partner directly places the reader within the narrative. While reading, it feels like I am within the story and it makes for a more engaging, philosophical consideration of his words. After all, what if I were in his situation? There is so much contained in the brevity of the piece that I find myself scrambling to consider all the aspects that have affected me so. For example, the written answer to the protagonist’s question, “what is the meaning of life,” lacks a trite conclusion, as it is only a simple statement of saying “for you to mature.” But who is the you, and what does it mean to mature? Does it really matter, considering the plot twist midway through the story? If every human is only a previous or next reincarnation of just the one being, then every action — violent or peaceful —was done to oneself, myself or yourself if we follow the line of thought in the story. With every success, like Abraham Lincoln, and every failure, like the assassin John Wilkes Booth, the highs and lows of every individual life in turn fuel a massive collective consciousness, perhaps symbolic of the increasingly globalized world or the inner spirit of ingenuity derived from all humanity. Or perhaps I am just conjecturing — who knows? Likewise, I am also interested in the story behind the story. 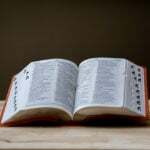 Besides the impactful philosophical energy behind its simple sentences, the story’s current cult following also owes to its sudden viral popularity when it was first released. Before Weir’s novel “The Martian” — now a bestseller transformed into a major motion picture — reached the masses, Weir published this work onto his personal website, a short story that he later stated he wrote in under an hour. Considering that it has been translated into thirty-one other languages, it’s safe to say this is his most popular short story, and for good reason. Though no one could anticipate the fanbase that arose from this work, considering the cultural shift from literary texts to more visual mediums, it’s not surprising to me that the short story is rising in popularity just as other longer works start to wither away. Hard science fiction is a notoriously niche field that rarely overlaps with popular fiction, but the beauty of “The Egg” lies in its ability to reach across the divide and evoke paradigm shifts in the minds of all readers. The two pages may be a quick read, but the ingenuity of its concept has lingered for years in my mind, causing a rippling effect in my own thoughts. I hope it does the same for you.